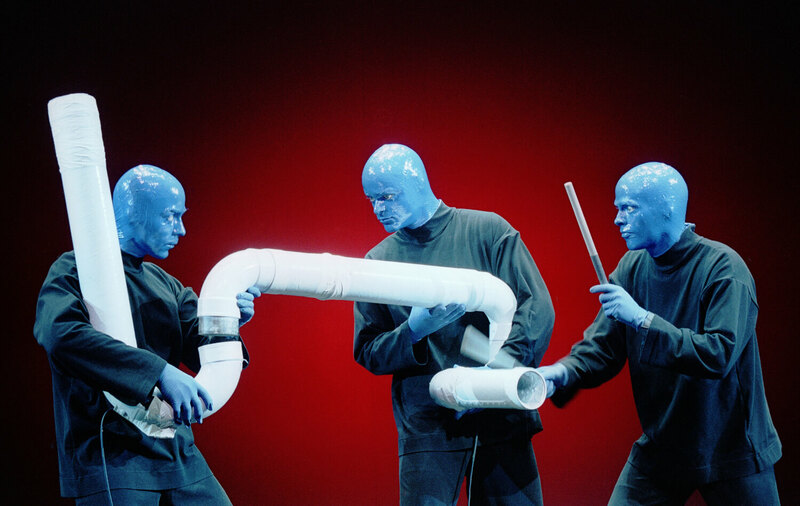 Since 1987, the enigmatic Blue Man Group has carved itself into American culture with its techno-primitive performances and genre-defying sounds. Ideally described through first-hand sight and sound rather than words read on a screen, the organization designs each show around building a sense of community within the audience by replicating the Paleolithic pleasures of rhythms around the fire. 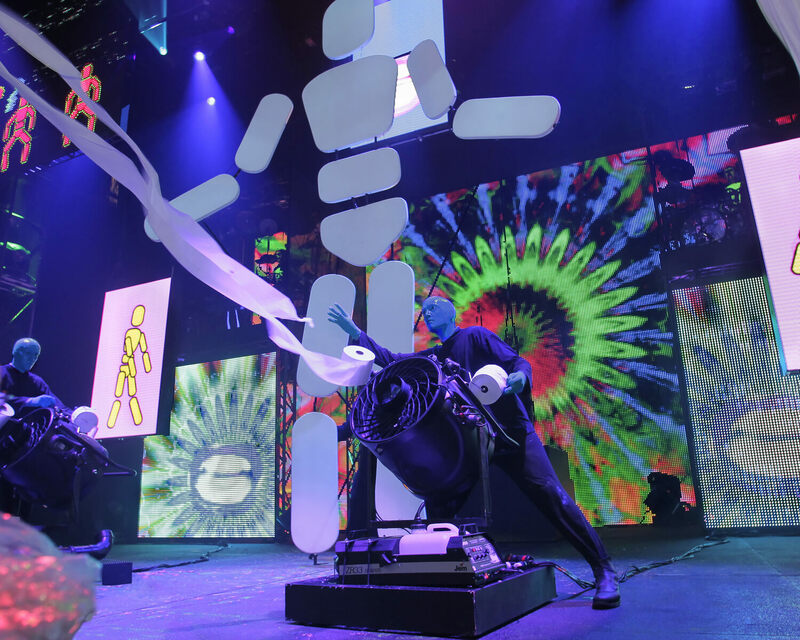 When the Boston Marathon Bombings shattered that sense of ease on April 15 in a city permanently occupied by Blue Man Group since 1995, it quickly became an obvious choice to perform a benefit in Beantown. In addition to managing a nearly 19-year old Blue Man presence in the city, Screnci is a native Bostonian himself. As someone with strong roots in the city, Screnci says he is taking the benefit process personally. “It feels like something I should be doing. We’ve been here for 18 years and I feel like the show is part of the community,” Screnci said. 100 percent of the performance's proceeds will pour into the One Fund Boston, a program created to benefit those personally affected by the attack. Screnci says everyone from the producers at Broadway in Boston to Ticketmaster to the Blue Men themselves were on board instantly. One of those Boston Blue Men is Brian Tavener, who performs full time on-stage at Blue Man Group Boston. Though Tavener and his bald, blue colleagues take a vow of silence when the paint goes on, he is vibrantly enthusiastic about performing for a community’s sake. “It’s going to be emotional, but a really fun and positive evening,” Tavener added. Screnci and Tavener described the sight of the bombing as a “stone’s throw away” with the organization’s home, the Charles Playhouse, only half of a mile away. The closed off crime scene ran only a block away from Boston’s theater district, meaning the attack hits Blue Man Group literally right where it lives. “The whole experience was very close physically and emotionally for sure,” Screnci added. 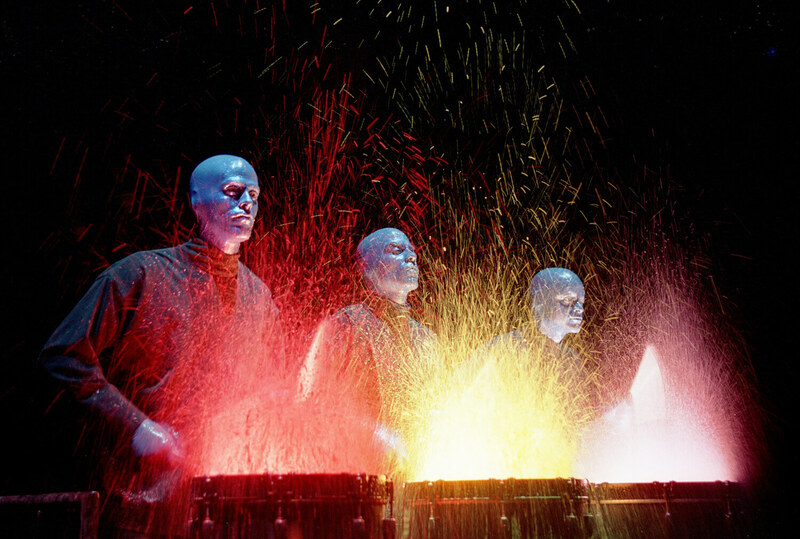 In addition to stretching the bounds of how music is created, Blue Man Group shows are based around creating a community among strangers in attendance through the most primitive of music: rhythm and percussion. As a Blue Man performer, Tavener explains the concept as he feels it. “When I describe the music, the first word I mention is ‘tribal.’ It’s not necessarily all tribal beats and it’s not necessarily trying to pigeonhole the style of music. The idea of tribal music is more of the focus here. You can feel the beats as to promote the community in the theater with the music that’s specifically written to promote that around the campfire feel with your tribe, team or family. The whole point of the show is to get the theater to congeal as one entity,” Tavener said. The benefit show will be held on Monday, June 10 at 7:30 p.m. at the Charles Playhouse in Boston. The special event will feature customizations celebrating Boston and Bostonians that Screnci and Tavener could not reveal, as well as an assortment of raffle prizes also benefiting the One Fund Boston.